The 21.5" iMac's and the 27" iMac have all received Intel's new I3 processor which can be upgraded to Intel's Core I5 as well. The speeds of the I3 range from 3.06GHz to 3.2GHz, while the I5 is 3.60GHz. The Quad Core I5 and I7 chips have also received a speed boost at 2.8Ghz and 2.93Ghz respectfully. 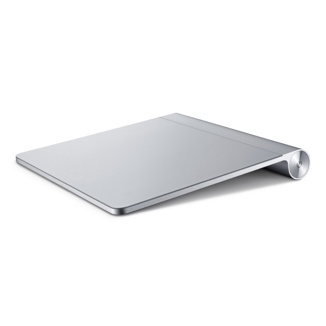 The Magic Trackpad was rumoured for quite some time now and has been finally released. The Magic Trackpad is as you'd expect, a device that lets you do all of the usual stuff a normal trackpad would like clicking and scrolling. Except it is external and is for a desktop. It is 80% larger than the trackpad on the Macbook Pro and uses 2 AA batteries. Apple’s says that the "Magic Trackpad gives you a whole new way to control what’s on your Mac desktop computer. When you perform gestures, you actually interact with what’s on your screen. You feel closer to your content, and moving around feels completely natural. Swiping through pages on screen is just like flipping through pages in a magazine, and inertial scrolling senses the momentum in your fingers as you move up and down a page." It is available now and costs $69. 12-Core Mac Pro Coming in August!